TORONTO – January 22, 2018 – 2017 was another record-setting year for Blueprint Software Systems, a leading provider of enterprise-scale Agile planning and compliance management solutions. With a continued focus on growth, quality, and customer service, 2017 brought significant wins to many areas of the organization, including the announcement of double-digit growth for Blueprint’s 2017 Fiscal Year. This marks the company’s fourth consecutive year of hypergrowth, fueled by new products, customer acquisitions, partner relationships, and an increasing urgency for organizations to scale Agile development to support their transformation to digital-first enterprises. Blueprint drew from its impressive management bench to promote four senior leaders, reinforcing a commitment to industry-leading execution as a member of the tech community. Claytie Moorman moved into the role of Chief Customer Officer, Ruth Zive to Chief Marketing Officer, Martin Saipe to Chief Operating Officer, and Charles Sword to Chief Revenue Officer. In addition, Robert Youngjohns, software luminary and former Executive Vice President and General Manager of Hewlett Packard Enterprise (HPE) Software, joined the Blueprint Board of Directors, strengthening the breadth of talent already represented on the Board. Blueprint continues to focus on supporting the world’s leading enterprises in their Agile and DevOps transformations as they deliver products aligned to market needs. In 2017, Blueprint acquired new customers across all major industries and geographies, including TD Bank Group, FireEye, Inmarsat, and Blue Cross Blue Shield, among others. Blueprint’s customer retention rate of more than 95% far exceeded key industry benchmarks. Customer satisfaction scores reached record highs this year, with most customers indicating that Blueprint products overwhelmingly meet their needs for increased business and IT alignment, quality of software delivery, customer experiences, and scaling Agile. 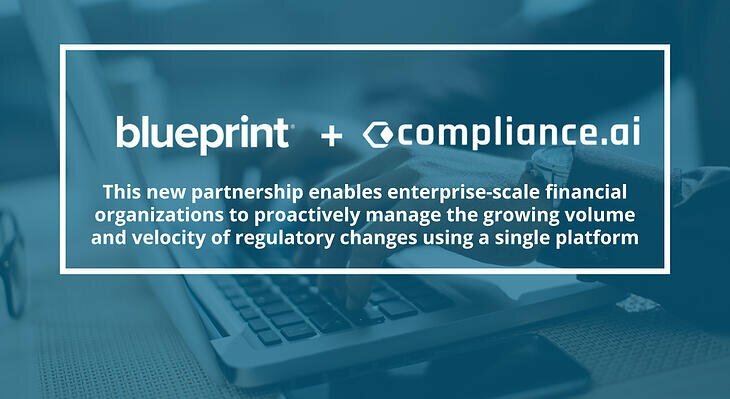 Blueprint launched Regulatory Change Manager (RCM) in 2017, a new product that facilitates and automates the navigation of virtually any global regulation, delivering the visibility needed to easily manage compliance at enterprise scale. Intelligent Automation of Manual Processes: New intelligent recommendations enable the product to proactively recommend artifacts for reuse, making a central repository of data far more valuable and usable. Increased Alignment and Collaboration: Walkthroughs visually represent an application’s user experience through process modeling and mock-ups, enhancing business-IT collaboration and providing a common understanding of what is being built. 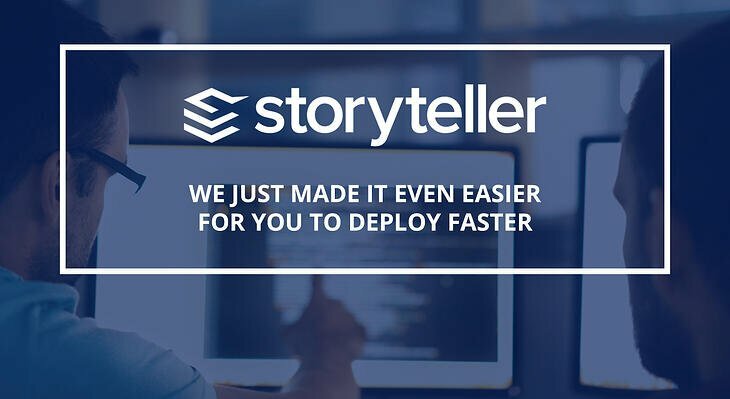 Accelerated Legacy Modernization with StoryScan: StoryScan reverse engineers test cases to generate a solution model of reusable components and process flows that precisely define your application’s existing behavior, making it easy to re-platform and modernize legacy applications. Blueprint extended its leadership in delivering business-critical solutions through a strategic partnership with Accenture in 2017, and continued to solidify existing partnerships with Cognizant, Tata Consultancy Services Limited (TCS), Unified Compliance Framework, and Capgemini. These strategic partnerships expand Blueprint’s service offerings and deliver industry-leading, Agile technology and training that enables joint customers to resolve many of the challenges of large, complex IT projects. Blueprint became a gold member of the Scaled Agile (SAFe) Partner Network, the world’s leading framework for enterprise agility. The addition of Blueprint to the SAFe ecosystem addresses technology needs via best-of-breed enterprise Agile products like Storyteller. Blueprint also joined OCEG, a global, non-profit GRC think tank and community, as a GRC Solutions Council Gold Member. Blueprint will work closely with the OCEG community to facilitate the adoption and implementation of new and modified regulations. For more information, please visit www.blueprintsys.com.